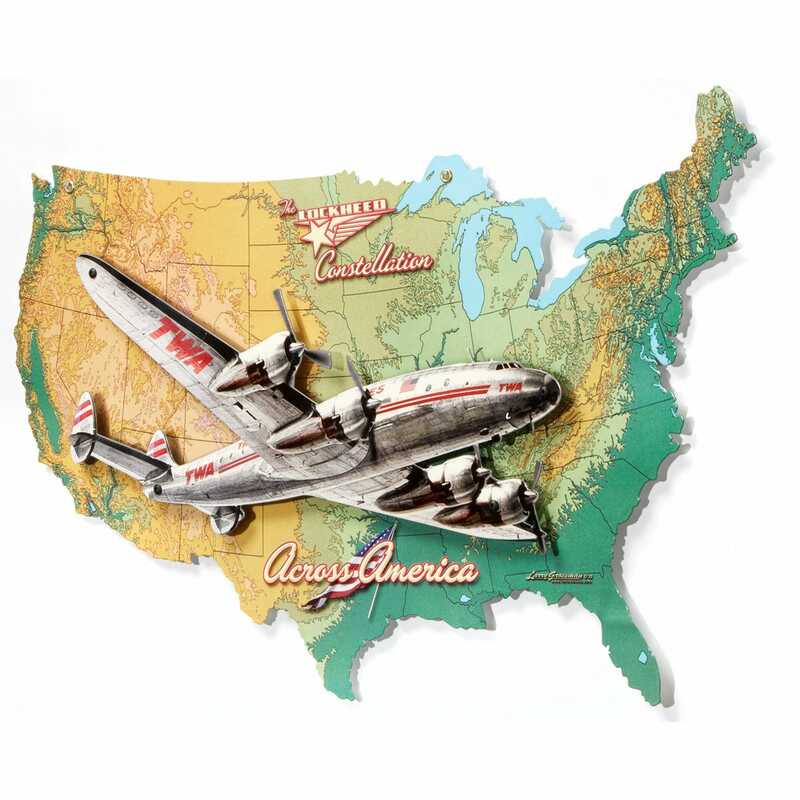 Made of heavy gauge American steel this colorful Sign features a USA Map with a Lockheed Constellation in the foreground as a plasma cutout. The “Connie” is separated from the background giving it a 3D presentation. Measures 25”x 16”h and is ready to hang.